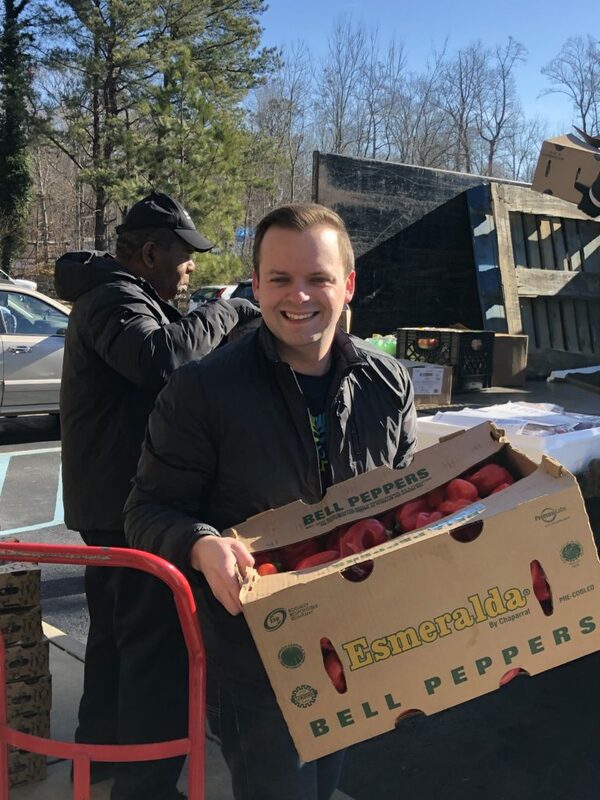 More than 9,500 pounds of fresh produce, dairy products and packaged foods are making their way to residential food pantries in James City County’s Grove neighborhood thanks to a partnership between Busch Gardens® and the Grove Christian Outreach Center. Busch Gardens and the outreach center continued a program in which the theme park donates its surplus fresh, frozen and packaged food items to the Center. The Center, which helps people living in this small community along Route 60 just south of the theme park, will distribute the food to residents who need assistance putting food on their tables. The Grove community is designated by the US Department of Agriculture as a food desert due to low income levels and the lack of access to healthy, affordable foods at a nearby grocery store. Food deserts contribute to food insecurity and are a principle cause of hunger in the United States. Food donation opportunities arise for Busch Gardens throughout the year following large-scale park events or after the park’s menu transition from summer operations to Howl-O-Scream® and then Christmas Town™. “We look at the Grove as part of the Busch Gardens family, and this is a great way for us to contribute to their great cause and help our community,” said Kevin Lembke, park president for Busch Gardens and Water Country USA®. Pat McCormick, Executive Director of the Grove Outreach Center, said approximately 13,400 food-insecure individuals live in the City of Williamsburg, James City and York counties. Specifically, the overall food insecurity rate in James City County in 2016 was 8.1 percent with an estimated 5,820 food-insecure individuals living in the community. “A donation of this type and magnitude helps transfer what is typically a food desert to a food oasis for our families, enabling them to enjoy healthier meals. Our friends at Busch Gardens can be happy knowing that our Grove families will be eating healthy, nutritious foods in the coming weeks thanks to their generosity,” McCormick said of the donated food that will reach its expiration date before the park opens for the 2019 season on March 23. Many Grove residents are on a fixed income or disability, or simply do not have sufficient employment income to meet all of their household needs each month. Providing food to them through structured outreach programs helps eliminate their dilemma of having to choose between paying their rent, utilities, medical bills or food, McCormick said, adding that it is critical to nonprofit organizations like the Outreach Center to have the support of individuals and businesses in the community to help meet the growing requests for food assistance. “It is a tremendous blessing to have the support and the partnership we have with Busch Gardens. They have donated thousands of pounds of food to our ministry over the last few years that has had a significant impact on the families that we serve,” McCormick said.